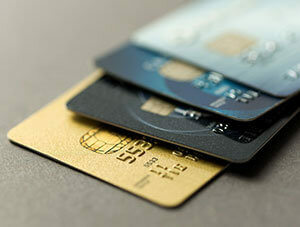 Home » Financial News » Ask the Expert: Can I use a credit card to repay student loans? Ask the Expert: Can I use a credit card to repay student loans? I’ve just finished school and am getting ready to start repaying my student loans. I have a friend who says that it is a good idea to use my credit card to repay my student loans because I can get rewards points, but I’m not sure. Is this a good idea? Can you actually repay a student loan with a credit card? Credit card repay student loans. This is an excellent question. On the surface, it would seem a great idea to make use of rewards points or cash back in order to repay a debt. However, using one debt to repay another isn’t necessarily a good approach and this applies to student loans as well. To start, consider that some lenders won’t even allow you to use a credit card to repay your student loan. And for those that do, there are often additional fees to cover the costs of the transaction. Some creditors may treat a loan payment as a cash advance, which means that you’ll start accumulating interest right away, along with paying any additional cash advance fees on top of that. While the thought of benefiting from a bunch of rewards points is appealing, you need to consider all the additional costs that would come with using a credit card in order to repay the student loan debt. They really take the “reward” out of the rewards points that you’d earn. Assumedly, you wouldn’t be able to repay your whole loan in a month either, so you would continue to accumulate interest, and it might take a long time to pay your balance off, especially if you are only making minimum payments. In principle, it isn’t a good idea to repay a debt with another debt, unless you are doing a debt consolidation. The problem is that very often you end up with double the debt and double the costs and it doesn’t take very long before you end up with debt problems. Don’t forget that carrying a high balance credit card that is close to the limit is going to lower your credit score. If you’ve got other financial goals on the horizons like many new graduates do, like buying a car or a home, you will want to think twice before using a credit card to repay your student loans. Instead, be aggressive in paying your student loan down on your own. Make a budget that lets you cut costs, put some money in savings and put extra down on your loan every month. I hope this helps and good luck in paying down your student loans as soon as possible. Are you struggling to repay student debt? Is it keeping you from moving forward with your life? Find out what your debt repayment options are today so that you can achieve your financial goals. Call one of our trained credit counsellors at 1-888-294-3130 or get started with our free online debt analysis .